With the non-invasive Smile Lift® Technology. YOU NEED A SMILE LIFT BY DR. HABIB ZARIFEH. SMILE LIFT® is a new revolutionary technique developed by Dr. Habib Zarifeh; DDS- MS in Oral Surgery- MSC in Laser Dentistry - Aachen University AALZ - RWTH – Germany, and the head of the Dental Division of Clemenceau Medical Center affiliated with Johns Hopkins International. In our quest for treating signs of aging, improving oral health, and giving our patients a youthful look. 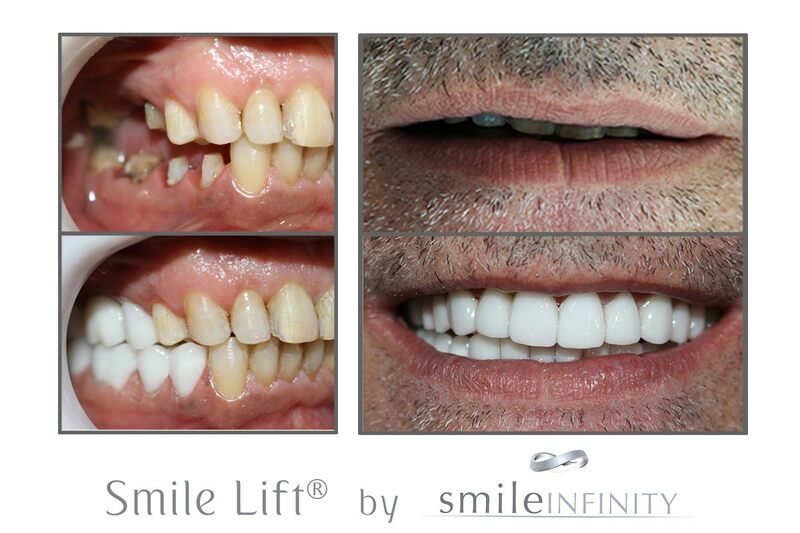 Smile Infinity® Dental Clinics Affiliated, are the exclusive providers for the Smile Lift® procedure worldwide. 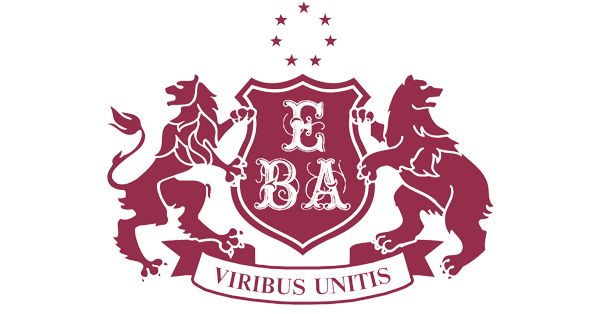 We are located in Lebanon, United Arab Emirates (UAE), United States of America (USA), Kingdom of Saudi Arabia (KSA), Iraq, Bahrain, Tunisia, and Senegal. 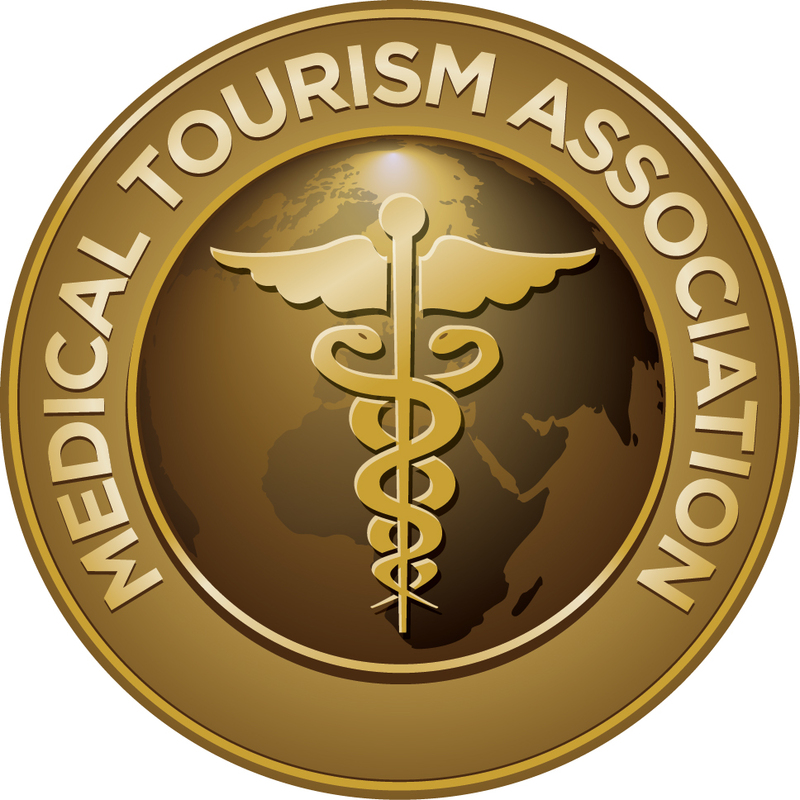 OUR MISSION is to change patient’s lives through our exclusive anti-aging procedures. We are committed to improve our patients’ health and appearance while they experience a 7 stars’ exceptional service. OUR VISION is to exceed our patients’ expectation and promote a lifelong relation with all our patients, through continual update in our dental procedures, technologies, and infection control. 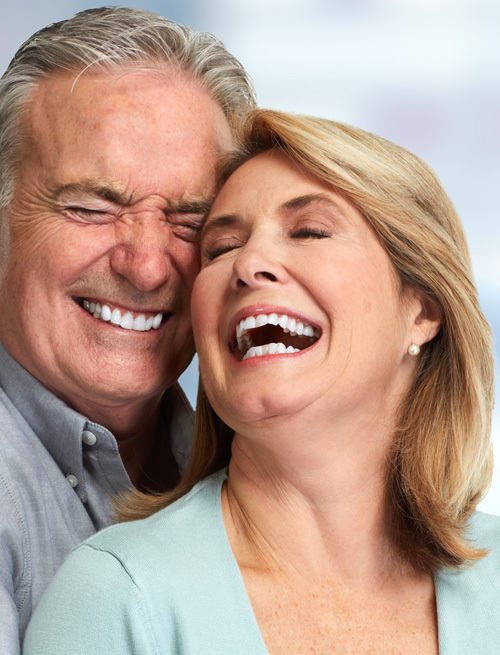 Smile Lift® is more than cosmetic dentistry; it is an anti-aging procedure that actually works on improving both the chin and jaw size, correcting overbites, solving TMJ Problems, enhancing facial profile, and widening your smile. With Smile Lift® the goal is to create youthful looks in a natural way, for that each patient is reviewed separately, by taking into consideration face’s shape, teeth color and size, skin tone, and age. Getting a Smile Lift® can be more effective than Botox, fillers, or plastic surgeries. The technique will take 10 years off your face within 2 visits only. It is a non-surgical treatment, done with no pain, no anesthesia, and no teeth drilling. As we age, the loss of collagen and elastin results in the appearance of wrinkles, while the loss of jaw bone and muscles results in gum recession, teeth sensitivity and mobility. By that, the lower third of the face starts to collapse. During a Smile Lift®, your specialized dentist will restore your vertical dimension by correcting your bite. Patients’ in need for bite-correction will suffer from symptoms that can vary from headaches, pain in your jaw, muscle tension, collapsed bite, snoring, insomnia, teeth grinding, and jaw clicking. With Smile Lift® the over-bites, under-bites, cross-bites correction and TMJ problems are solved through CAD-CAM inlays, without any need for braces or surgeries. After 2 visits and within a range of 2 weeks after the treatment, the patient will feel an improvement in both appearance and health. Health wise, jaw tension is revealed reducing headaches, neck stress, and jaw’s clicking. According to appearances, significant change in chin size will occur after jaw correcting resulting in fuller lips, better proportioned, tighter and younger face shape. Anti-aging dentistry is a treatment done to restore the lower third part of the face. It usually focuses on jaw and chin size, teeth color, gum color or shape, missing or cracked teeth, and shortened teeth. Anti-aging dentistry is usually done by combining several procedures depending on patients’ case. Procedures might include veneers, dental implants, teeth whitening, crowns, or others. With Smile Lift®, all services are provided with a team of specialized dentists, anti-aging specialists, dermatologists, and plastic surgeons to improve your smile’s health and promote a beautiful youthful appearance. Why Do I Look Older than People at my age? When the jaw is not aligned and the bite Is not correct, patient will look older. Ideal bite and jaw position will result in a younger face structure. What is the relation between Smile Lift® and headaches, facial tension, and neck pain? Since Jaw Repositioning is a part of the Smile Lift® Treatment, TMJ side effects including headache, neck pain and facial will eventually decrease. Can Smile Lift® Minimize Wrinkles? Smile Lift® allows you restore a youthful appearance without the need for painful cosmetic surgeries, fillers, and Botox. The treatment minimizes wrinkles and sagging skin below jaw line or chin. It will take off 10-15 years of aging from your face through our 2 visits non-invasive treatment! Can Smile Lift®- Bite Correction help solve snoring problems? In most cases snoring is a result of bite problems in which there will not be enough space for the tongue in the mouth, so while sleeping the tongue will be placed in the throat minimizing airway. After bite correction, snoring will directly decrease. I Placed porcelain veneers and I didn’t look younger, is Smile Lift® different? Cosmetic Dentistry or veneers can’t help in giving you younger appearance. If bite is not corrected and TMJ problems are not solved, the patient will only get a white and nice smile yet with aged collapsed face. Shall I go through a surgery to correct bite and solve TMJ problems? Smile Lift® is a non-surgical treatment done with in 2 visits, your specialized dentist will do the correction through using CAD-CAM inlays, Mandibular repositioning trays, and other techniques. Can Smile Lift® give me fuller lips? Yes, you can get fuller lips without the need for fillers or any esthetic treatment. Usually, lips get thinner as we age but TMJ and bite problems can make them look squished, for that Smile Lift® can improve facial support resulting in less wrinkles and fuller lips appearance. Is Smile Lift® painful, and does it cause teeth sensitivity? The treatment done is pain free with no need to anesthesia usage. Also your Smile Lift® specialized dentist will not drill your teeth to prevent any sensitivity occurrence. How much time does Smile Lift® take? Dearborn, 14350 W Warren Ave. Smile Infinity, a High-end International Dental Trademark, registered worldwide, managing dental clinics for more than 10 years, is dedicated to offer the highest quality dentistry, by always keeping our patients comfort a priority. 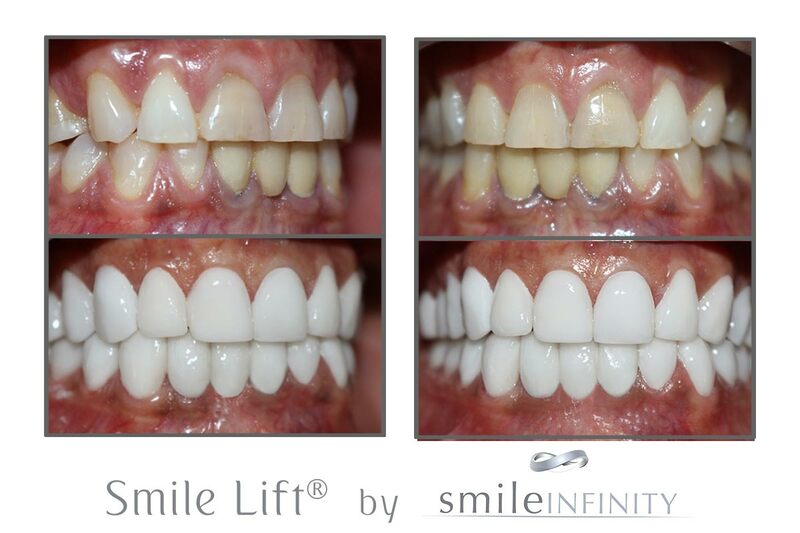 Smile Infinity computerized dentistry veneers, a New High-End Patent Trademark of computerized cosmetic dentistry. It is a simple technique, and needs 2 sessions mostly, an impression will be taken for your teeth that doesn’t involve drilling, done at our central ISO certified lab, and in 3 to 5 days the top of the line veneers will be placed. 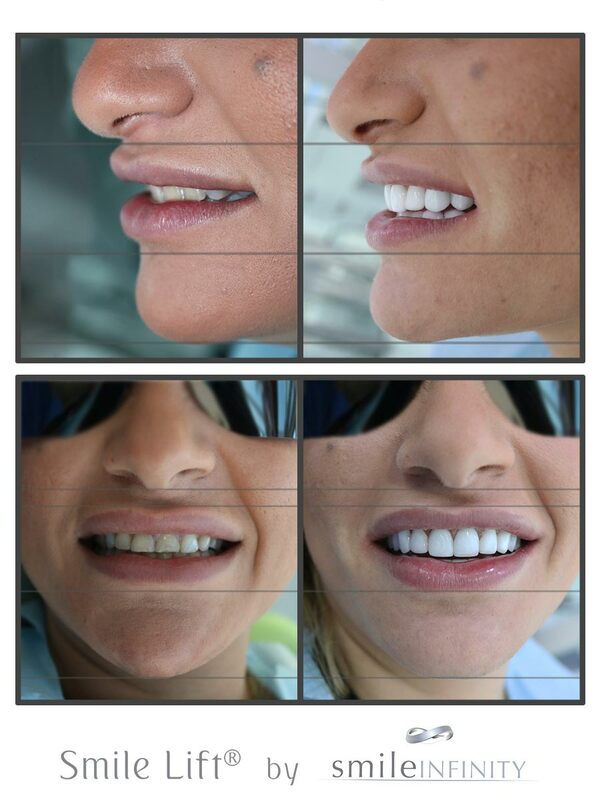 At 0.3mm thickness, smile infinity veneers are known to be 30% more resistant than any other Hollywood smile veneer. 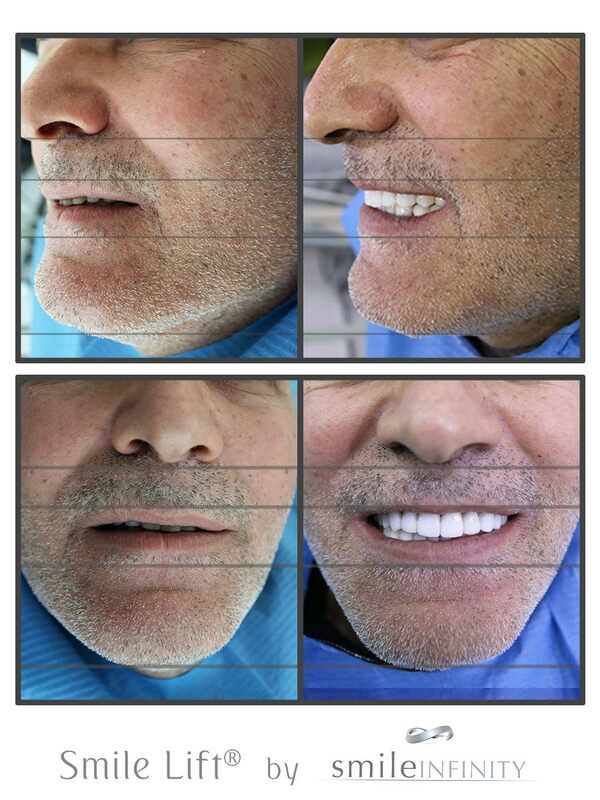 Every case is specially designed and executed by our professionals based on the actual shape and shade of the patient’s teeth, to match his expectations and preference and eventually get the best result possible. 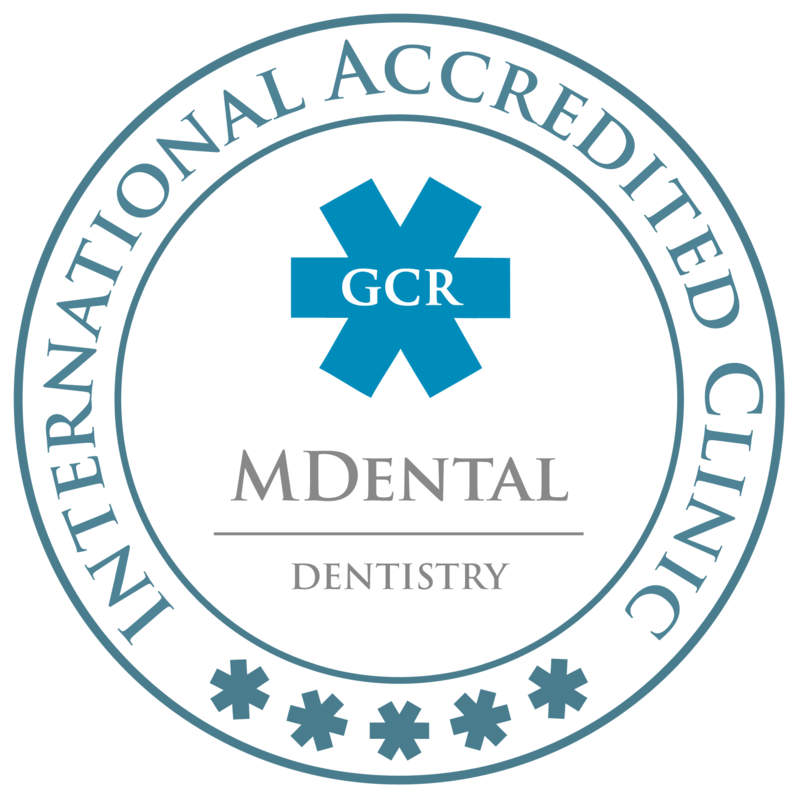 A certificate is granted for each and every smile makeover patient by smile infinity with an outstanding international warranty lasting for 5 years. Dental Crown is sculpted to identically replicate the look of your natural tooth enamel while providing the needed strength, toughness and appearance of the tooth. Zirconium crown is one type of ceramic crowns that is made from zirconia, which is a very firm optically flawless substance that is compatible with the human body, thus used largely in the medical industry, from artificial joints to dental implants. Zirconia is totally safe and preferred by many practitioners over metal crowns because of the compatibility, non-allergic factors, and durability it shows with the human body. Cosmetic Beauty: it is crystal clear and smooth, matches the tooth size, color and shade. Non-allergic: Due to their biocompatible structure, zirconia crowns rarely provoke allergic reaction or body rejection. Durability and strength: Zirconia crowns are extraordinary strong and can withstand most chewing and biting activities. They are very resistible to high temperatures and, as a rule, don’t cause teeth hypersensitivity. Appearance: It is hard to differentiate a zirconia crown amongst natural teeth. Less Tooth Structure Has to Be Removed: It needs less layer of material to provide a super strength with zirconia crowns. The gum lift procedure includes reshaping of gum tissue, to enhance the smile’s appearance. Gum Lift is used to get rid of excessive gum tissues and create longer teeth with even gum line. The treatment is done on the same day using laser, and it ensures a pain free treatment without shots or sutures. Dental restorations including crowns, inlays, veneers, dental implant crowns, and fixed bridges, can be done without temporaries and during one session with the CAD-CAM/ CEREC Technology. This technology is done by using a digital impression that draws a precise design of the restoration needed, then with a milling chamber crafts the ceramic material. Whether you have one or multiple missing tooth, dental implants are your perfect restorations. With the laser assisted technology during dental implants, the titanium screw can be placed with less time, less bleeding, less post-operative pain and no cross contamination.